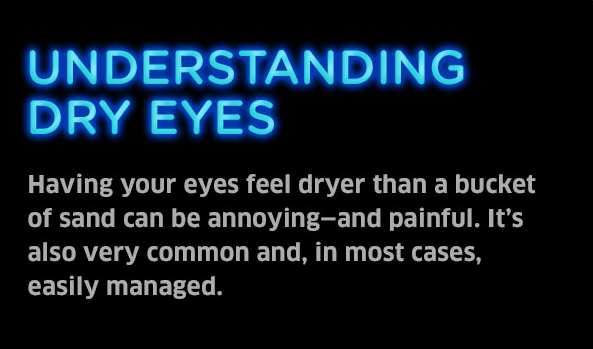 Having your eyes feel dryer than a bucket of sand can be annoying—and painful. It’s also very common and, in most cases, easily managed. taking frequent breaks from screen-watching. Try the 20-20-20 Rule. Look away from your screen every 20 minutes and stare at something 20 feet in front of you for 20 seconds.